Bennett’s Beach right across the road. 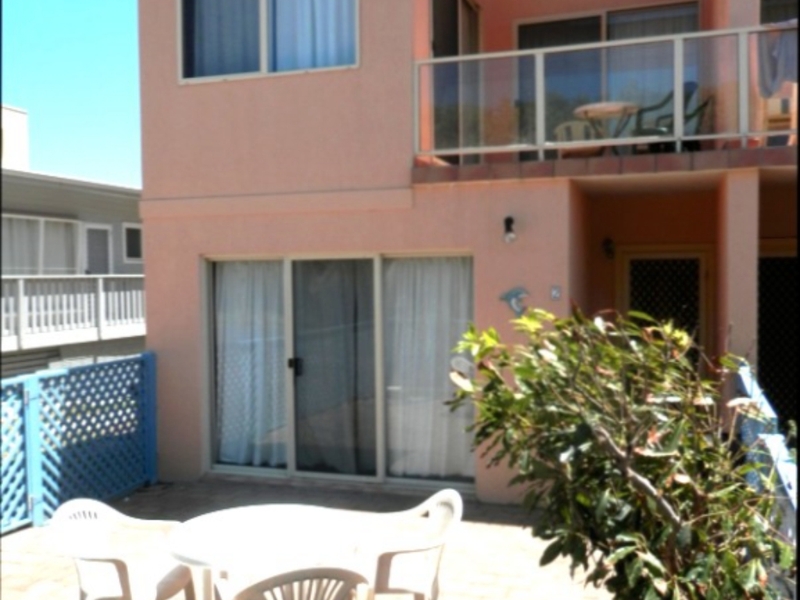 Three bedrooms, fully fenced front courtyard, full kitchen and laundry, balcony. Single carport and side parking for boat. Look out at the ocean from your bedroom and hear the waves. Queen bed in Master, Trilogy bunk in 2nd bedroom and pull out sofa in 3rd room. Easy walk to shops, restaurants and club and with Jimmy’s Beach only a short stroll, this is a fantastic holiday destination. PLEASE NOTE: Our holiday properties are not serviced and unless specified, do NOT include linen or toiletries.